Dialogue is a form of interaction between various interlocutors which unfolds in time. 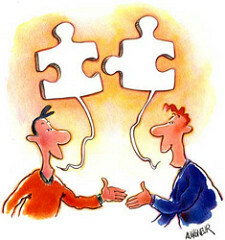 To have a coherent conversation, participants should come to a mutual belief and build the commonground. Topic is one of the notions which plays a pivotal role in common ground. By definition, topic of a sentence is what the sentence is about. As a conversation goes on, the speakers shift the topic of the sentence. Topic shift (when topic of sentence Un+1 is different from the topic of Un) initiates a conversational move and its main function in the discourse is to introduce a new topic or re-mention one. What I am interested to do as my PhD project is to have a closer look at topic shift in spontaneous speech. First of all, I would like to examine topic-comment partitioning on the sentence level and see how the discourse coherent is established in the light of a high number of topic shifts in a dialogue with fast turn changes; also, to what extent does the coherence of a conversation pertain to levels larger than an utterance? To be able to respond to this question, I would like to go beyond the sentence level and take also discourse topic shift into consideration. A comprehensive approach which takes into account both sentence topic and discourse topic is important for examining the grammatical choice of topic expressions, which seems to depend on both sentence and discourse level. I would like to investigate the grammatical form of the shift topic in particular with regard to what I call non-optimal topic expressions. I define non-optimal topic expressions as cases in which the expression is redundantly more informative (overspecified); or it is not informative enough to enable us to distinguish the unique referent of an expression (underspecified). 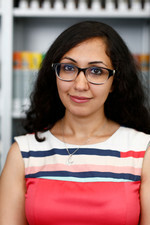 I hold a BA in English Language and Literature from Esfahan University and a master degree in General linguistics from Allameh Tabatabaei University of Tehran/Iran. Afterwards, I got a research master in Linguistics from Utrecht University/the Netherlands. The title of my master thesis is "Vector-based semantics of distal PP modification" which has been done under the supervision of Prof. Dr. Yoad Winter and Dr. Choonkyu Lee. In February 2015, I joined the research project "The relation between grammar and usage: null subjects and subject position in Spanish and Persian" under the supervision of Prof. Dr. Aria Adli. From March 2017, I am part of SFB 1252's project 'INF-Infrastructure: Data, Design and Sustainability'.